JLC - 2 fresh pictures of the Jaeger Lecoultre Service Hydrographique et Océanographique de la Marine ( SHOM ). 2 fresh pictures of the Jaeger Lecoultre Service Hydrographique et Océanographique de la Marine ( SHOM ). One of the treasures from my collection, this SHOM from the 40's. 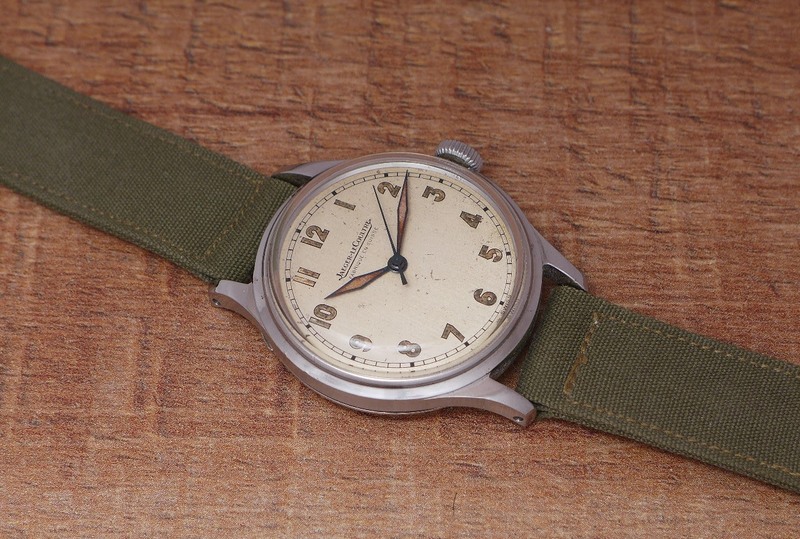 A kind of sea snake, as this watch is extremely rare. If you do a search, you will see maybe one or two for sale in these last 8 years. 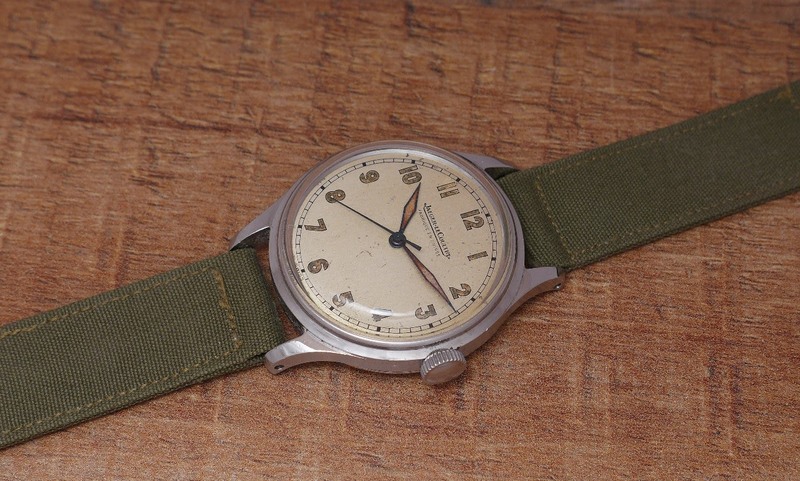 This one is the Nr 12, with the correct dial " Fabriqué en Suisse ". It lived a hard life, obviously, but it is full of charm, soul and History. Is the mechanism self winding Nico? How much do they charge for this usually?